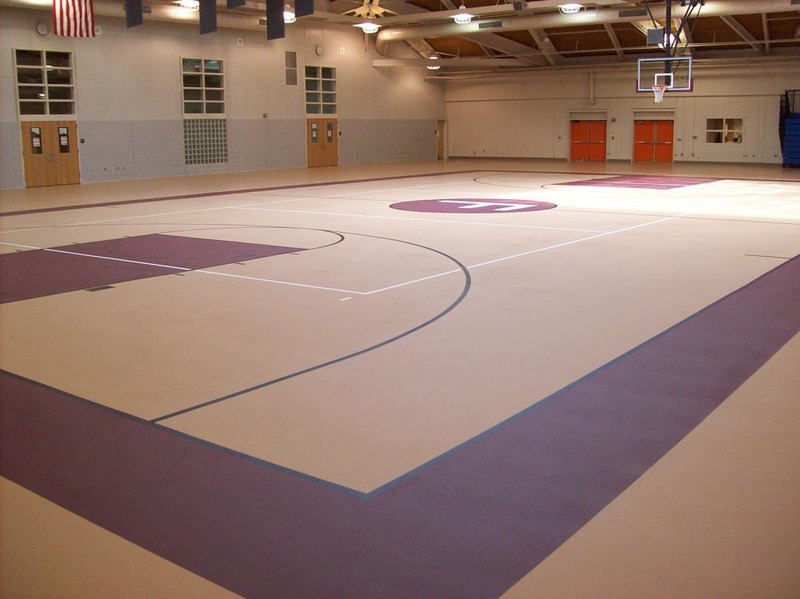 Get professional-grade indoor basketball court flooring at a fraction of the cost! Dynamic Sports Construction is dedicated to providing high-quality basketball court flooring to gyms, universities and fitness centers across the nation. We use professional-grade flooring along with world-class installation methods to achieve unmatched results. In fact, all of our flooring systems are made in the USA to ensure complete control over the quality of the final product. Our involvement in the manufacturing process allows us to customize the finished thickness and look of your flooring for a system that is completely unique to your facility. Our first concern is always for the safety of our athletes, which is why our team has invested in the most innovative shock absorbent basketball court flooring solutions. Our materials help cushion high-impact activities like scoring the winning goal at the big game. That means athletes can enjoy more time on the court with less recovery time between practice sessions. Choose from a variety of flooring systems suitable for basketball courts, including DynaForce, DynaTurf, DynaSelect, DynaCourt, and DynaFlex. Our flooring is durable enough to withstand a variety of uses, including heavy loads like bleachers and heavy foot traffic associated with banquets and awards ceremonies. Our flooring will maintain a clean, professional look that will make you proud to host any number of games over the years. All of our basketball court flooring installations are completely customizable with your choice of colors, logos and messages. Promote team spirit or create a professional look for your basketball court with personalized designs. Whether you are working on a layup, running drills or scoring in the big game, Dynamic Sports Construction is there with basketball court flooring systems you can trust. Get professional-grade basketball court flooring with our team on your side. Contact us today for a free quote!